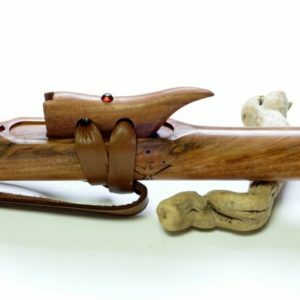 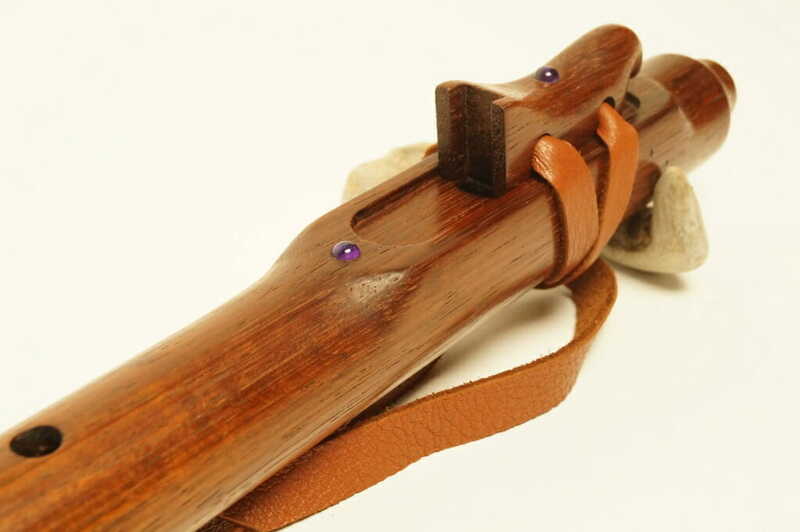 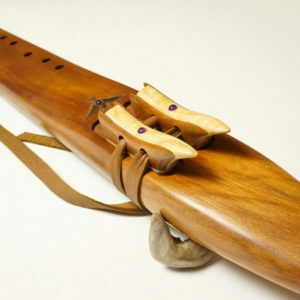 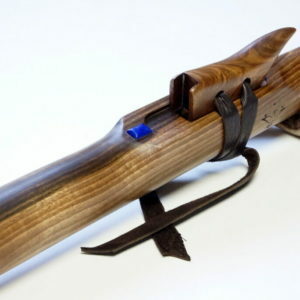 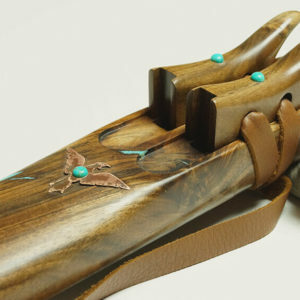 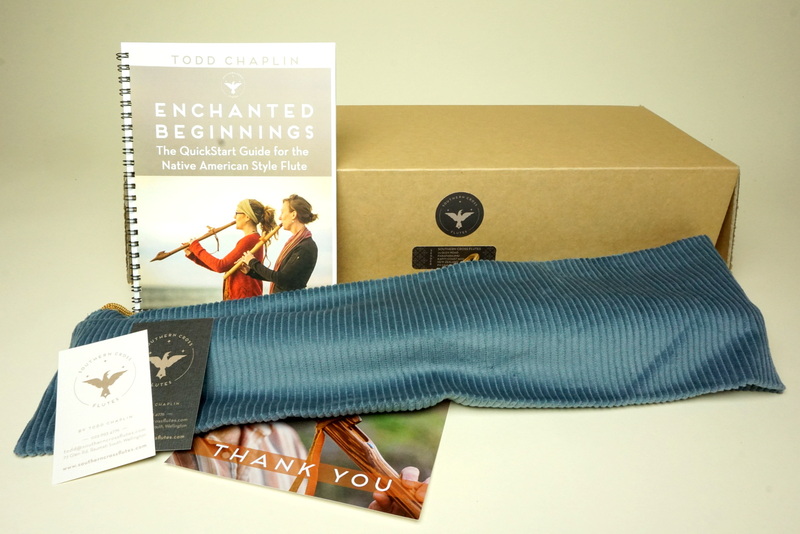 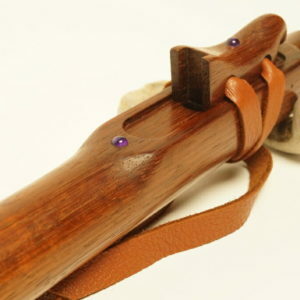 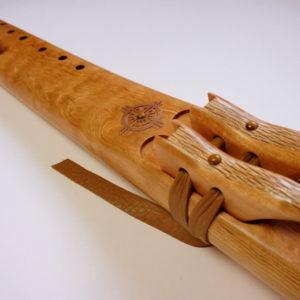 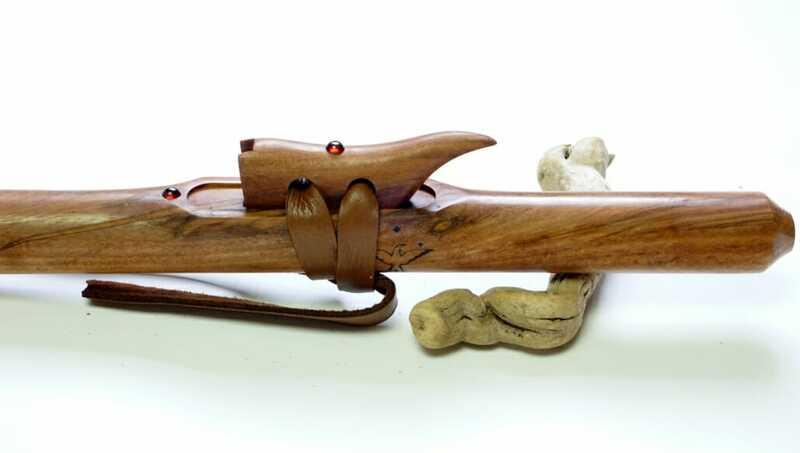 These custom made love flutes are hand crafted from British Columbia Western Red Cedar, a Native American Style Flute with a full resonant song. 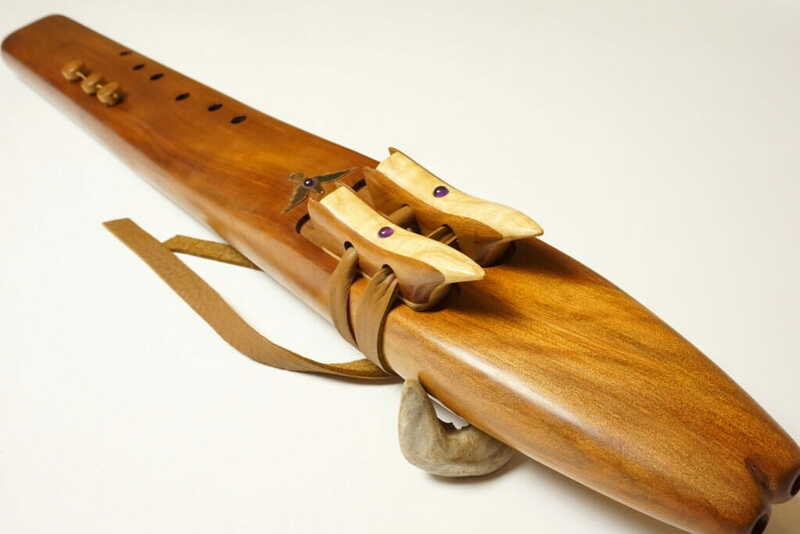 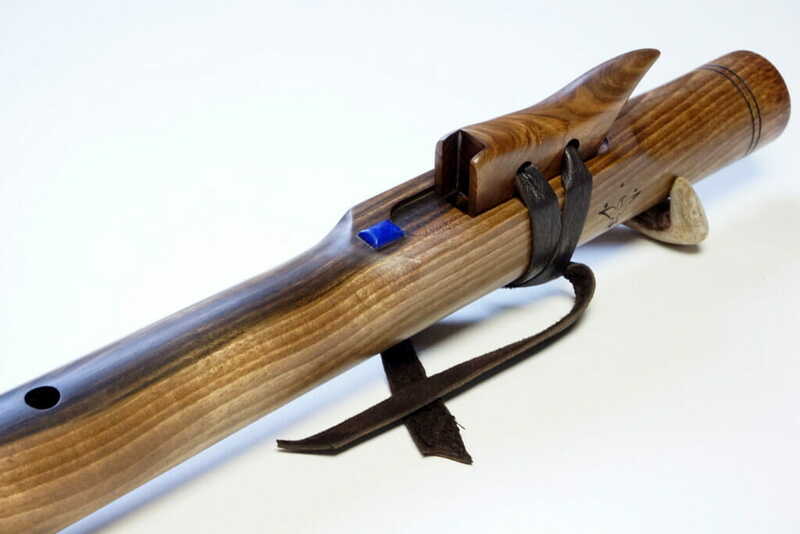 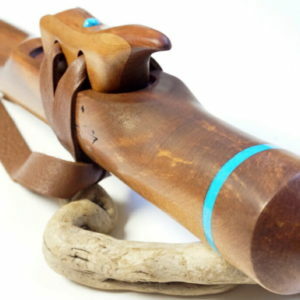 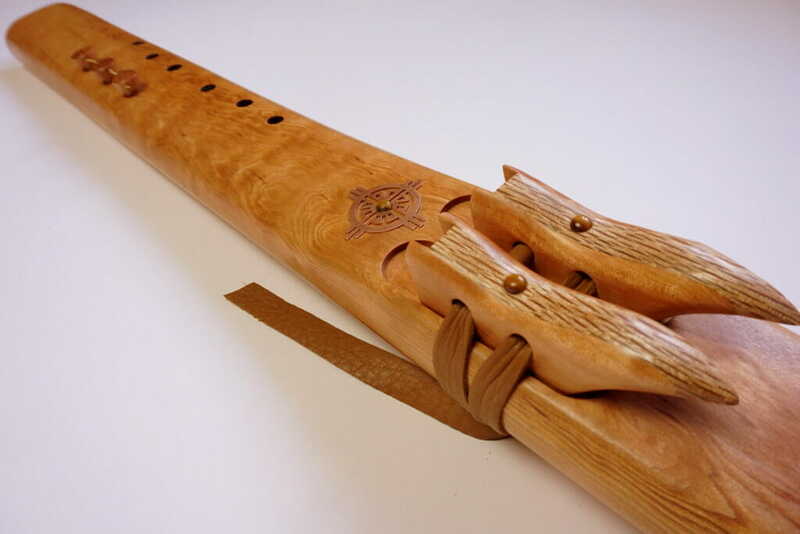 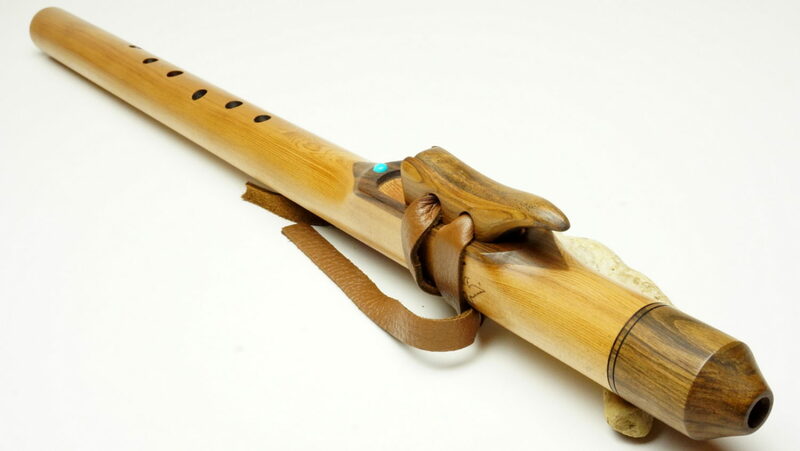 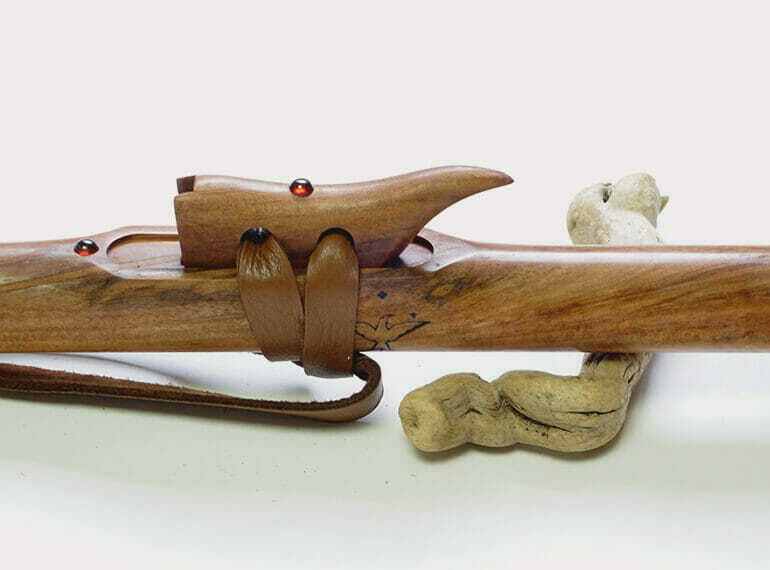 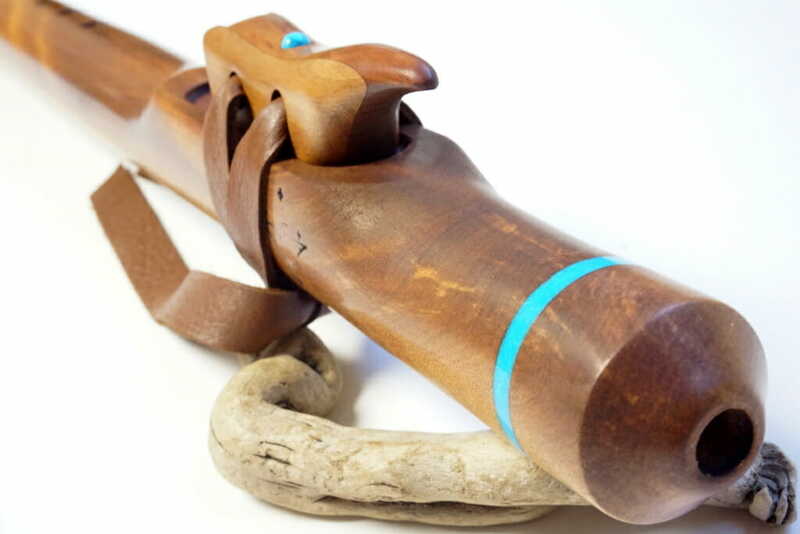 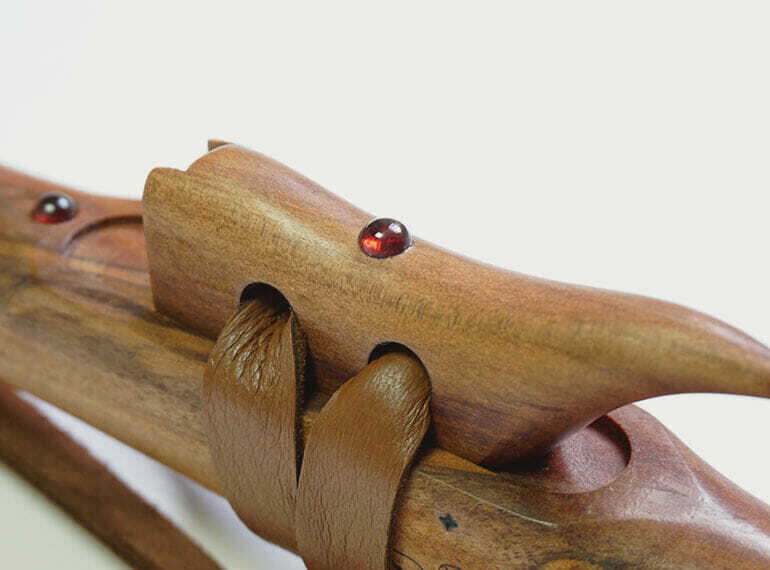 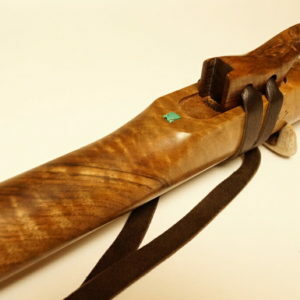 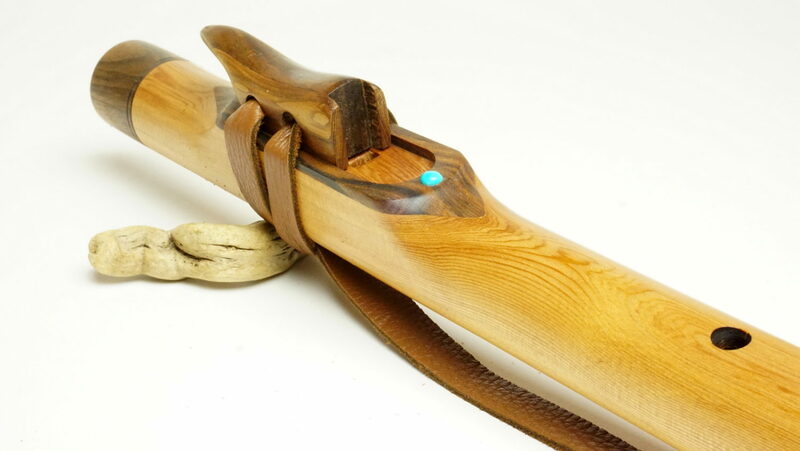 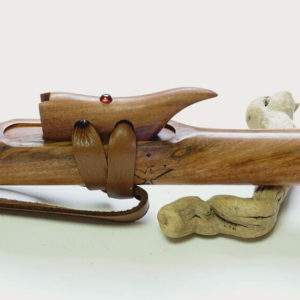 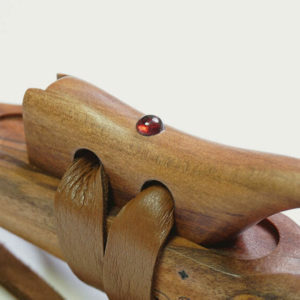 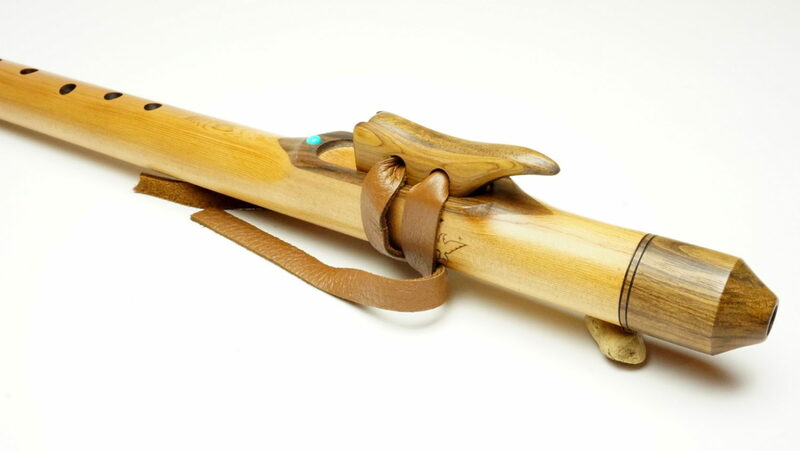 Western Red Cedar is the quintessential Native American love flute wood. 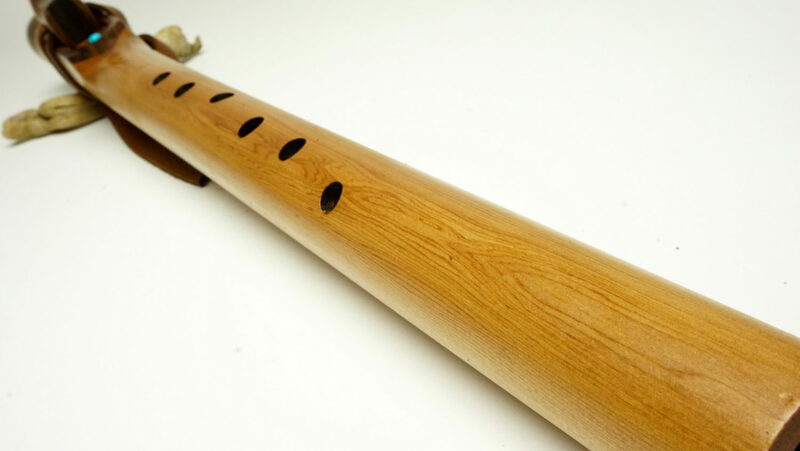 Very light to hold, this flute-wood produces a classic warm, rich and resonant tone. 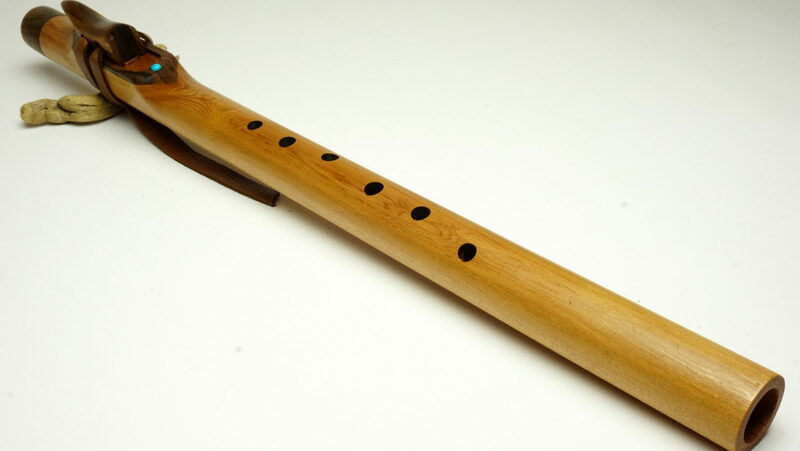 Being a softwood, it is very absorbent which helps in reducing moisture buildup within the flute while playing. 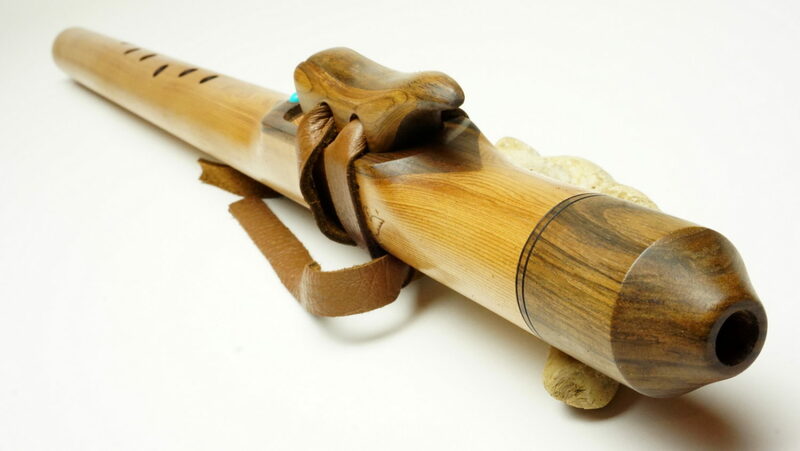 It is typically a light brown colour with a sweet woody aroma under the nose. 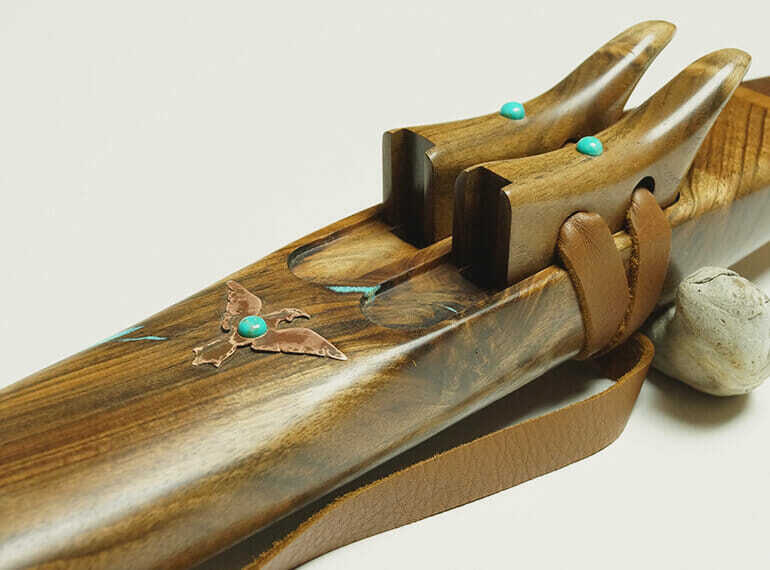 Traditionally known as the “long life maker” or “tree of life”, Western Red Cedar is native to the American Pacific North West, and to this day has extensive applications among First Nation peoples. 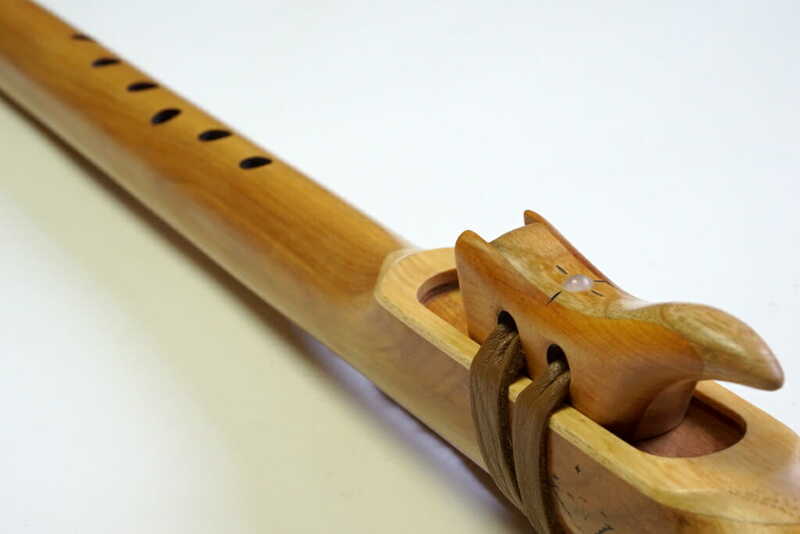 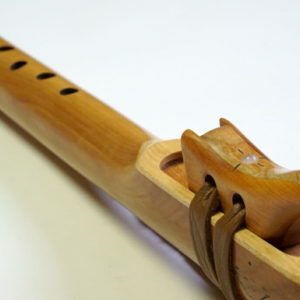 The following video demonstrates the quality of the Cedar Flute. 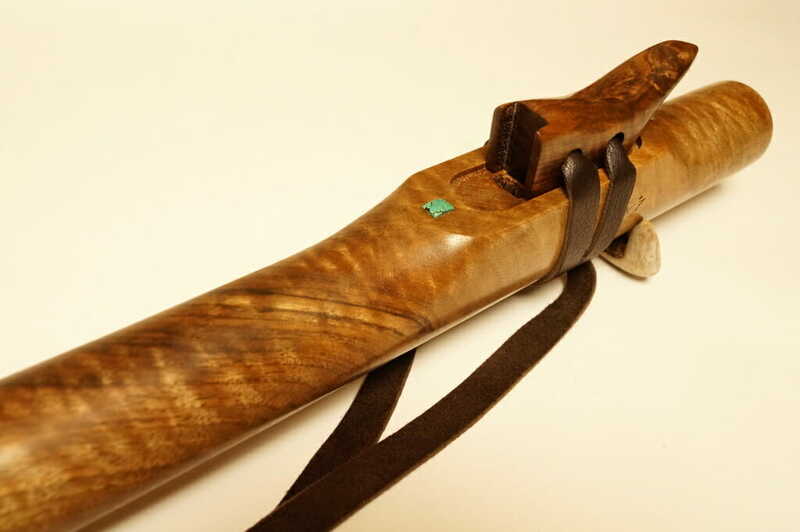 We are now using slightly different woods for the mouthpiece and embellishments.